Duke Energy recently announced that its power plant in Duplin County, North Carolina, will use renewable natural gas from local hog farms to produce electricity. "This is a major breakthrough for renewable energy in North Carolina," said David Fountain, Duke Energy's North Carolina president. "This project allows for the capture of emissions from hog operations and converts the renewable natural gas to electricity for customers." 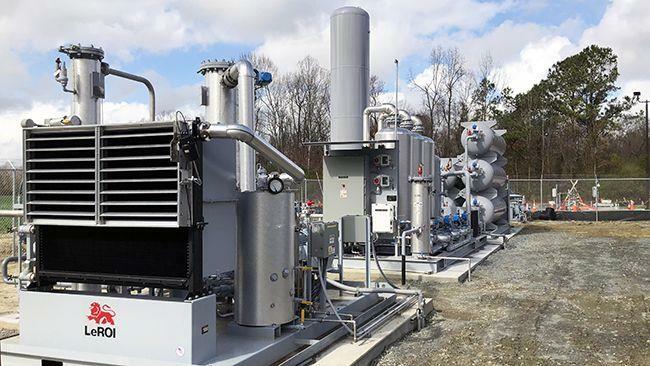 The project injects the renewable natural gas into the Piedmont Natural Gas system, which transports it to Duke Energy's Smith Energy Complex in Richmond County where it is used to produce electricity. Announced in 2016, the project is expected to yield nearly 11,000 megawatt-hours of electricity, which is enough to power almost 1,000 homes. The Optima KV project is expected to be the first of many where directed biogas will be used at Duke Energy power plants to create renewable energy. It will also help the company satisfy state swine waste-to-energy mandates under the Renewable Energy and Energy Efficiency Portfolio Standard law in North Carolina. Under this law, Duke Energy must generate 0.20 percent of its retail sales from swine waste by 2023. For more information, visit www.duke-energy.com.